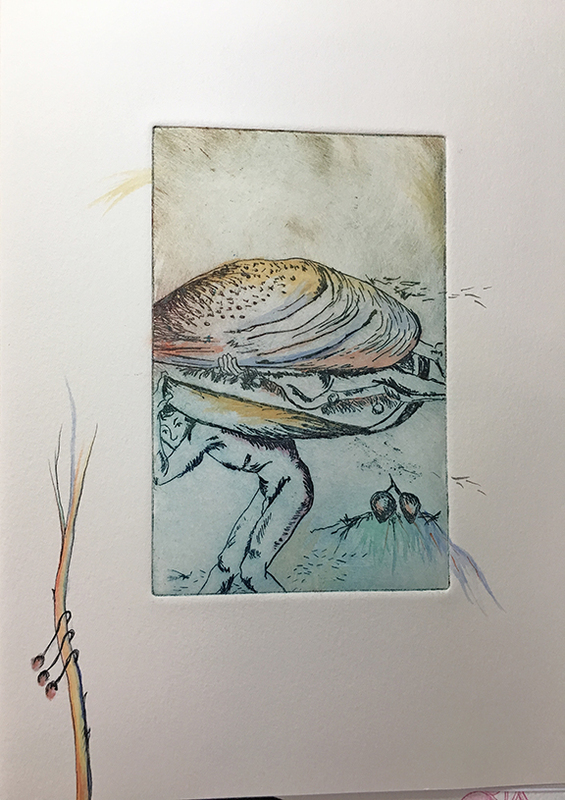 Unique copper plate intaglio prints with hand painting, size approx 10 x 8, 2016, inspired by Hieronymus Bosch’s “Garden of Earthly Delights” painting. 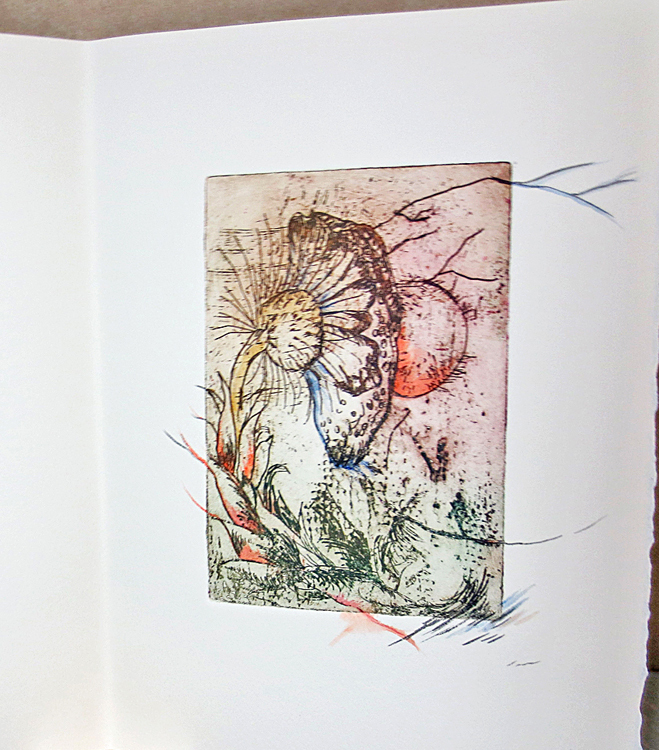 A selection of eleven prints from the editioned book are available for individual sale. 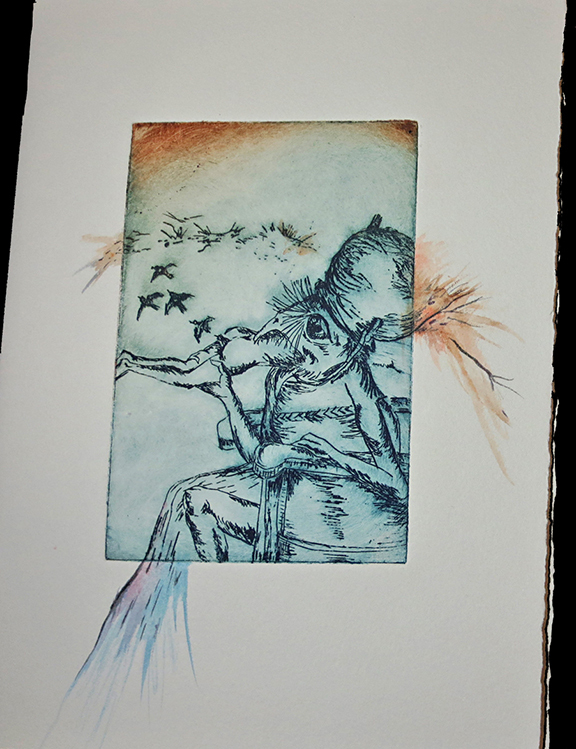 In the printmaking process, inks were applied in a painterly manner, from drawn and etched open bite copper plates. 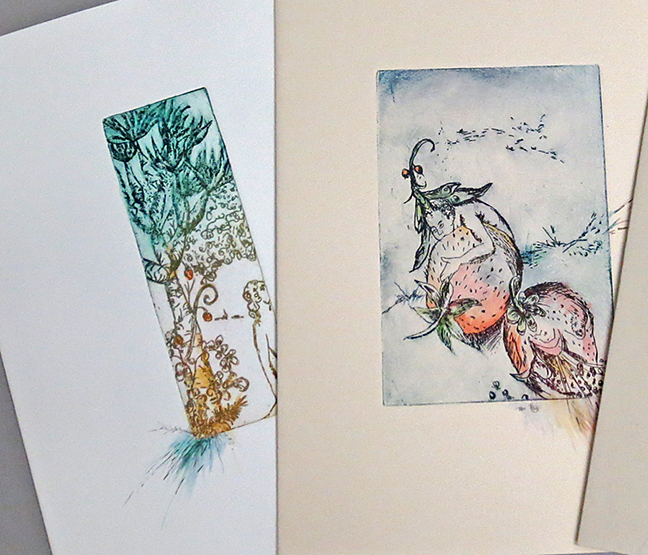 Each intaglio print was then hand painted by the artist, Mindy Belloff. The etchings are printed on white, cream, or grey Somerset archival papers to coincide with the sections of the 3-panel Bosch painting from left to right, with images from the first panel in white, middle in tan, and last panel in grey. $400 each.